Just watched a wonderful BBC documentary series, “Mapping the World“, which focuses on the use of maps throughout history for national power. The last segment focuses on the current amazing new competition to claim the rapidly melting arctic region because of its enormous oil and gas reserves. This has been in the news for some time, especially since the Russians planted a titanium flag on the sea floor directly below the North Pole in August 2007. 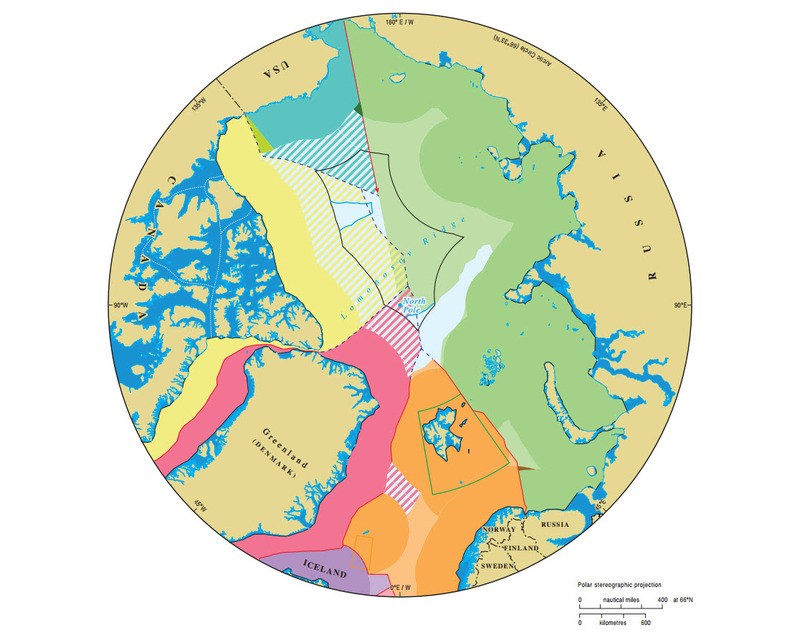 This map was designed by cartographers at Durham University, updated in 2010 to include negotiated boundaries between Norway and Russia, in attempt to make agreements before the free-for-all which could result from competing national interests as the area is explored.